Uncertainty is the biggest truth in the human life. That’s why people want guaranteed security. The insurance policy may provide some protection in this regard. An Insurance can provide you and your family securities too. It is important to ensure maximum security through small investments. Elderly, death and injury and disability of human life, one of these three must happen at any time in our human life. In this case, the insurance policy can take some financial responsibility for them. In the old age or the retirement life. The opportunity to receive cash money while insurance term is complete. The plan for receiving life pension. Economic and human peace to enjoy the freedom. To make a house or buy a house after the maturity period. Get money to visit religious and historical places. To get money to Visit the country abroad and meet the relatives. Monthly or annual income guarantee. Receipt of the full money of the insurance policy. Getting money for your children educational cost. The ready cash in when you need. Get the discount cost of treatment related expenses if you have an insurance policy. After all, planting a tree can be called a future investment for your family. The planted tree will grow and grow fruit, and if you survive you will enjoy it with your family members. And if you do not survive, your family members will enjoy it. 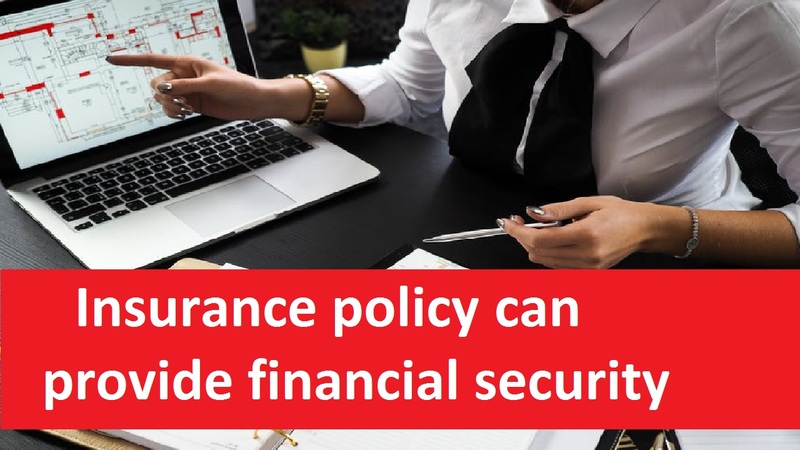 As a result, an insurance is so that you can leave a signature in the insurance policy papers, for happiness and financial security for your family. Therefore, it’s so true that, without leaving the insurance coverage, you can leave the family for financial hardship and great frustration. You have to take this decision on what to do.